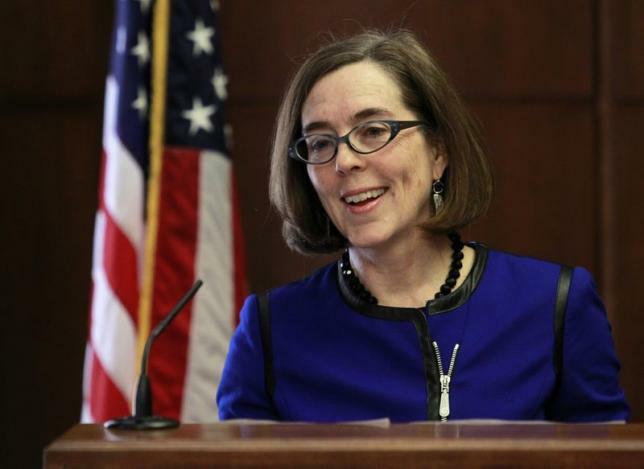 (Salem, OR) — Governor Kate Brown met with President Xi Jinping of China and six Chinese governors to discuss opportunities for collaboration on clean technology and economic development. American and Chinese participants in the forum signed an agreement to work together to advance renewable energy and clean technologies in conjunction with economic development in their respective jurisdictions. The bipartisan group of U.S. governors included Governor Jerry Brown (D-California), Governor Rick Snyder (R-Michigan), and Governor Terry Branstad (R-Iowa). Chinese governors in attendance were Sichuan Party Secretary Wang Dongming, Beijing Mayor Wang Anshun, Chongqing Mayor Huang Qifan, Zhejiang Governor Li Qiang, Shandong Governor Guo Shuqing, and Shaanxi Governor Lou Qinjian.